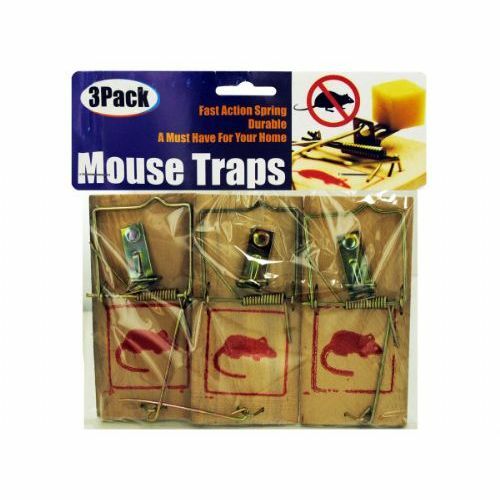 A must-have for your home, this 3-piece Mouse Traps Set is an essential for garages and attics. Strong traps are made with durable wood with a fast-action metal spring. Each trap measures approximately 1 3/4 x 3 3/4. Comes packaged in a poly bag with a header card.